Last month, Alyssa Wees, debut YA author of The Waking Forest, guest posted on Tale Out Loud about her favourite fictional witches. It's a really great post, I highly recommend reading it! It got me thinking about my own favourite witches in fiction, and then witches in folklore that I haven't read about yet. Which then got me thinking about all the specific fantastical beings I've not read about. 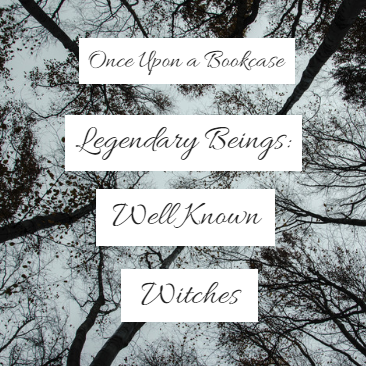 And so I came up with Legendary Beings, a series in which I'll talk about beings from folklore, mythology and legends that I haven't read about yet, and the books I discover that feature them. First up, the witches! Here are five witches from folklore and legend that I've not yet read about, and some books that feature them! 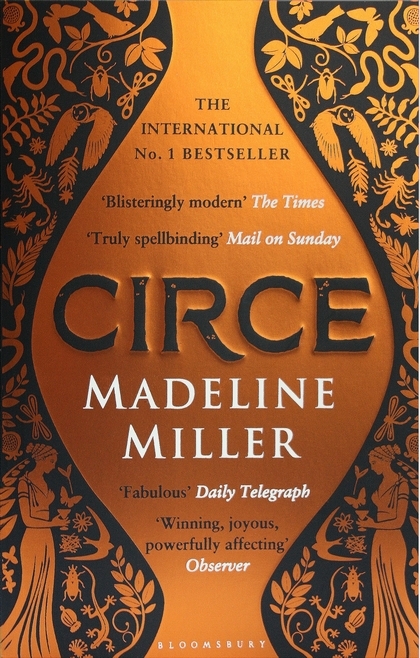 Circe is a goddess of magic or sometimes a nymph, witch, enchantress or sorceress in Greek mythology. By most accounts, she was the daughter of the Titan sun god Helios, and Perse, one of the three thousand Oceanid nymphs. Her brothers were Aeëtes, keeper of the Golden Fleece, and Perses. Her sister was Pasiphaë, the wife of King Minos and mother of the Minotaur. Other accounts make her the daughter of Hecate, the goddess of witchcraft. She was often confused with Calypso, due to her shifts in behavior and personality, and the association that both of them had with Odysseus. Circe was renowned for her vast knowledge of potions and herbs. Through the use of these and a magic wand or staff, she transformed her enemies, or those who offended her, into wild beasts. From Wikipedia. They shared one eye and one tooth, which they took turns using. By stealing their eye while they were passing it among themselves, the hero Perseus forced them to tell the whereabouts of the three objects needed to kill Medusa (in other versions the whereabouts of Medusa) by ransoming their shared eye for the information. From Wikipedia. I couldn't find any books featuring the Graeae in a big way, except self-published books. A hole that needs filling, I think! I do remember they feature in a small way in the Cassandra Palmer series by Karen Chance. In Slavic folklore, Baba Yaga is a supernatural being (or one of a trio of sisters of the same name) who appears as a deformed and/or ferocious-looking woman. Baba Yaga flies around in a mortar, wields a pestle, and dwells deep in the forest in a hut usually described as standing on chicken legs. Baba Yaga may help or hinder those that encounter or seek her out and may play a maternal role and has associations with forest wildlife. From Wikipedia. 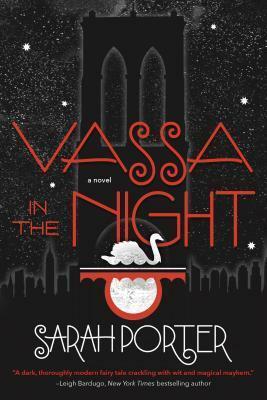 Sarah Porter's Vassa in the Night is a powerful and haunting tale for teen fans of urban fantasy, fairy tales, magic, and horror. When Vassa's stepsister sends her out to buy lightbulbs in the middle of the night, she knows it could easily become a suicide mission. Babs Yagg, the owner of the local convenience store, has a policy of beheading shoplifters--and sometimes innocent shoppers as well. Then Vasya’s widowed father brings home a new wife from Moscow. 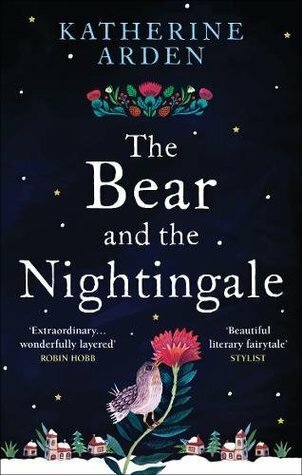 Fiercely devout, Vasya’s stepmother forbids her family from honoring their household spirits, but Vasya fears what this may bring. And indeed, misfortune begins to stalk the village. As its defenses weaken and evil from the forest creeps nearer, Vasilisa must call upon dangerous gifts she has long concealed. Technically, this book doesn't feature Baba Yaga, but I believe she appears later on in the trilogy, but I'll need to read this one first. Quite who Mother Shipton was or what exactly she said is not definitively known. What is certain is that her name became linked with many tragic events and strange goings-on recorded all over the UK, Australia, and North America throughout the 17th, 18th, and 19th centuries. From Wikipedia. Again, I couldn't find any books featuring Mother Shipton, but I do think she'd make a really interesting character! The earliest spelling of the name (found in Geoffrey of Monmouth's Vita Merlini, written c. 1150) is Morgen, which is likely derived from Old Welsh or Old Breton Morgen, meaning "Sea-born" (from Common Brittonic *Mori-genā, the masculine form of which, *Mori-genos, survived in Middle Welsh as Moryen or Morien; a cognate form in Old Irish is Muirgen, the name of a Christian shapeshifting female saint who was associated with the sea). [...] As her epithet "le Fay" (invented in 15th century by Thomas Malory from the earlier French la fée, "the fairy") and some traits indicate, the figure of Morgan appears to have been a remnant of supernatural females from Celtic mythology, and her main name could be connected to the myths of Morgens (also known as Mari-Morgans or just Morgans), the Welsh and Breton fairy water spirits. While many later works make her specifically human, she retains her magical powers, and sometimes also her otherworldly if not divine attributes. In fact she is often referred to as either a fairy queen or outright a goddess [...] by authors. From Wikipedia. After being schooled in magic by Merlin and promised a kingdom, Morgana is robbed of her birthright and betrayed by everyone she has ever trusted. Risking everything for revenge, Morgana uses her magical arts to trap Merlin, threaten her half-brother King Arthur, and turn away the only man she will ever love. 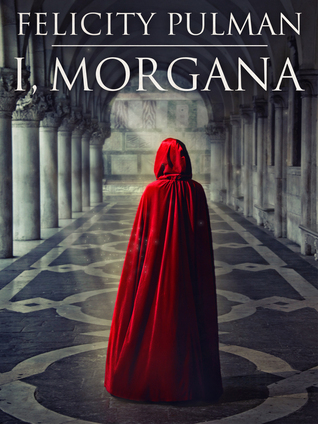 In destroying King Arthur and Camelot, Morgana sets into motion a catastrophe that can only be reversed if she can learn from the past in time to protect our future … and so fulfill an ancient prophecy. In the tradition of The Mists of Avalon comes a new story of Morgan le Fay, one of the most enigmatic and reviled characters in Arthurian legend. Morgan is a willful, mischievous girl with mismatched eyes of emerald and violet. 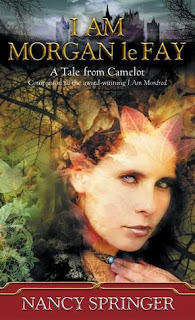 A girl of magic, whose childhood ends when King Uther Pendragon murders her father and steals away her mother. Then Pendragon dies and, in a warring country with no one to claim the throne, there are many who want Morgan dead. But Morgan has power, and magic. She is able to change the course of history, to become other, to determine her own fate-and, thus the fate of Britain. She will become Morgan le Fay. From Goodreads. Unfortunately, this one is now out of print, so I'll have to get a second hand copy. Are there any books featuring specific witches you'd like to read about but have yet to? Or any witches you'd like to read about but have you yet to find in any books? Have you read any of the books above? What did you think? Or do you have any recommendations for me of books featuring these witches? Let me know in the comments!